As a matter of fundamental principle, the Brazos Valley Food Bank strives to adhere to the highest ethical standards. As a matter of pragmatic self-interest, we should do so because public trust in our performance and stewardship is the bedrock of our legitimacy. Donors and volunteers support charitable organizations because they trust them to carry out their missions, to be good stewards of their resources, and to uphold rigorous standards of conduct. The Brazos Valley Food Bank must earn this trust every day and in every possible way. Our board members, executive leaders, staff, and volunteers must demonstrate their ongoing commitment to the core values of integrity, honesty, fairness, openness, respect, and responsibility. Adherence to the law is the minimum standard of expected behavior. The Brazos Valley Food Bank must do more, however, than simply obey the law. We must embrace the spirit of the law, often going beyond legal requirements and making sure that what we do is matched by what the public understands about what we do. Transparency, openness and responsiveness to public concerns must be integral to our behavior. Our vision is a hunger-free Brazos Valley. to nourish our neighbors in need. For the seventh consecutive year, the Brazos Valley Food Bank has earned Charity Navigator's coveted 4-star rating. This is the highest possible rating for this organization that is regarded as the nation's largest and most-utilized evaluator of charities. To receive a 4-star rating, charities must demonstrate strong financial health and commitment to accountability and transparency. 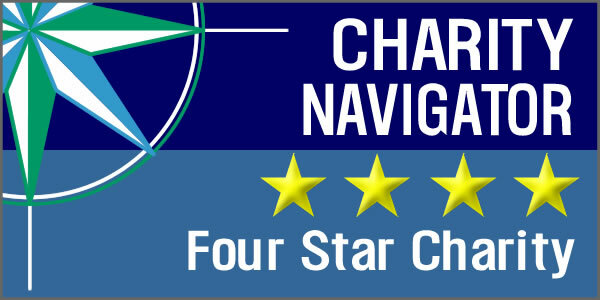 Only 5% of the charities Charity Navigator evaluates have received at least 7 consecutive 4-star evaluations, indicating that the Brazos Valley Food Bank outperforms most other charities in America. The Brazos Valley Food Bank is extremely proud of this ranking, which represents years of hard work, accountability and maintaining ethical and high standards in all that we do.